Okay, here’s another TAST stitch–cast on stitch. It is stitch 30, worked on a patch for my February CQJP block. Well, I’m sorry. I don’t seem to be able to get a clear shot. 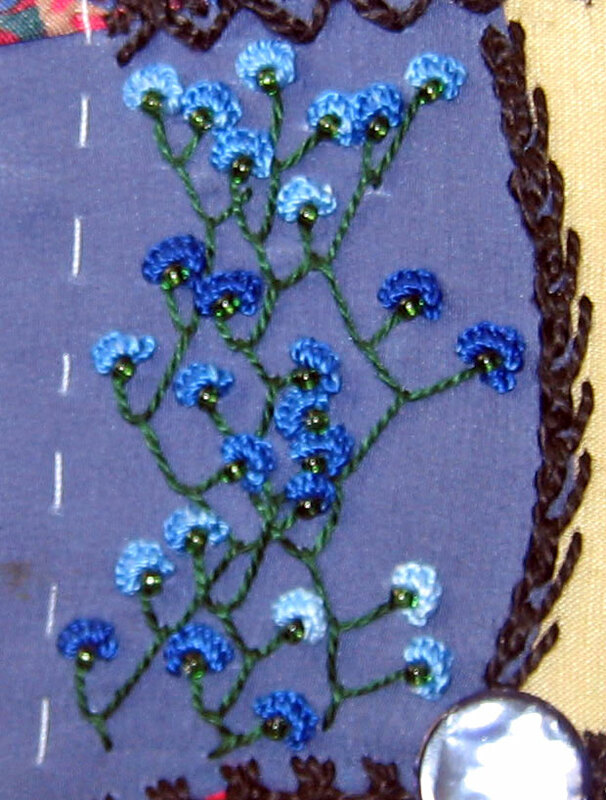 As for the stitching, nature’s blossoms are not all perfect or the same either. 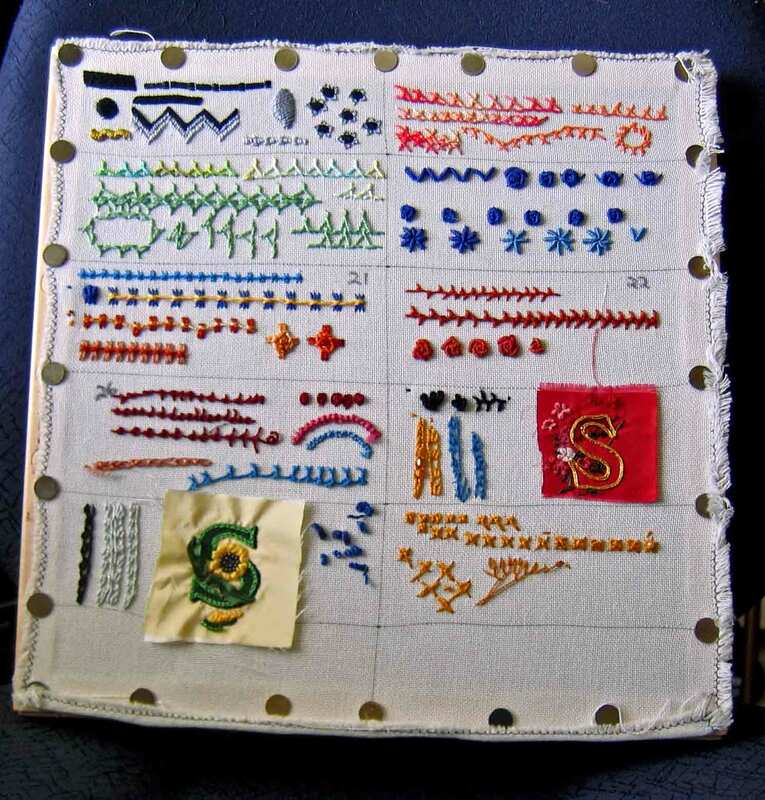 Three years ago I think it was, I set up this fabric for TAST, intending it to be a nice sampler, documented and neat. Since that time, my stitching is been very much off and on, mostly off. This bedraggled piece has been out of sight much of the time, and recently it became a doodle cloth. There it was, ready to use, so I’ve just done trials and tests on it. Still trying to get back into regular stitching and regular blogging. Dear Jowynn, good to read you’re still arround and stitching. I also had a blogging hiatus of more than a year. Now I have signed up for sumptuous surfaces with Sharon Bogon and saw your comment there. Your doodle cloth doesn’t look so bad. All my samplers end up looking like doodle clothes, I’ve made my peace with that. My trick is to use off-white or coloured backgrounds and if possible stick to a given colour sheme, that makes them look kind of unified even when they are really not.